The Metro Blue Line, Los Angeles’ oldest light rail line, has been around for more than 25 years. 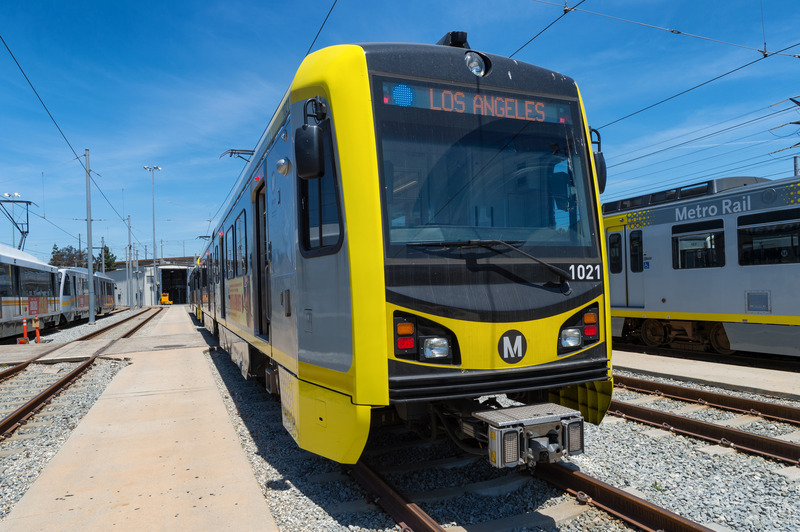 In that time, the train livery has changed a few times, from the Nippon Sharyo’s original blue stripes to the current bold yellow and grey seen on the Kinkisharyo rail cars. With the release of the latest addition to the Marvel Cinematic Universe — Captain Marvel — there’s been a bit of nostalgia for the old blue striped livery. The movie is set in the 1990s and includes a fight scene with Carol Danvers battling space aliens on an original Blue Line train. While those original P865 train cars have all been decommissioned and retired, the memory of their iconic stripes can live on…in your kitchen and wardrobe! The new Blue Line Vintage Collection features the blue stripes on phone cases, socks, mugs and more. More items will be added to the collection over the next few weeks, so be sure to check back to see if something new catches your fancy. Here’s a dare: Put the P2020s back in the LACTC scheme too. The original Blue Line livery in my opinion was really ugly and showed a lack of creativity. The short time the cars were painted in the Pacific Electric livery was truly memorable. 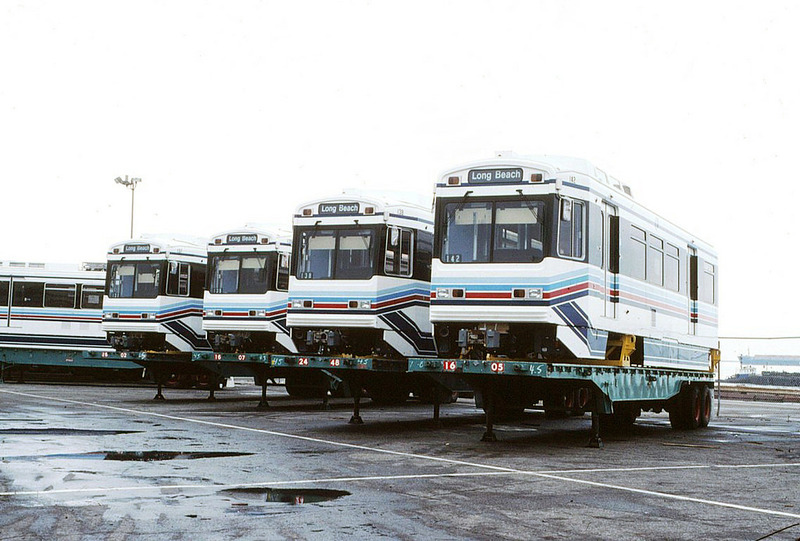 Why not paint some cars in the Los Angeles Transit Lines livery and the original MTA livery and market those colors with cups and shirts. The Blue Line has been a joke to those who understand how it was built and the millions , if not billions being spent to bring it up to the nations standards. Why not celebrate the Ethanol and Methanol failed bus experiment with stink in a can or bottle openers that do not work. I’ll wait a few months for the Clearance Sale to take place.